Pareurystheus vitucoi crustacean, illustration. This crustacean was one of two new species whose discovery was announced in 2017 following oceanographic expeditions to study the deep waters off the northwest coast of the Iberian Peninsula. The specimens were dredged from the deep abyssal plains at depth of a thousand metres. Deep-sea animals such as this are typically blind, with vestigial eyes, and lacking pigment. 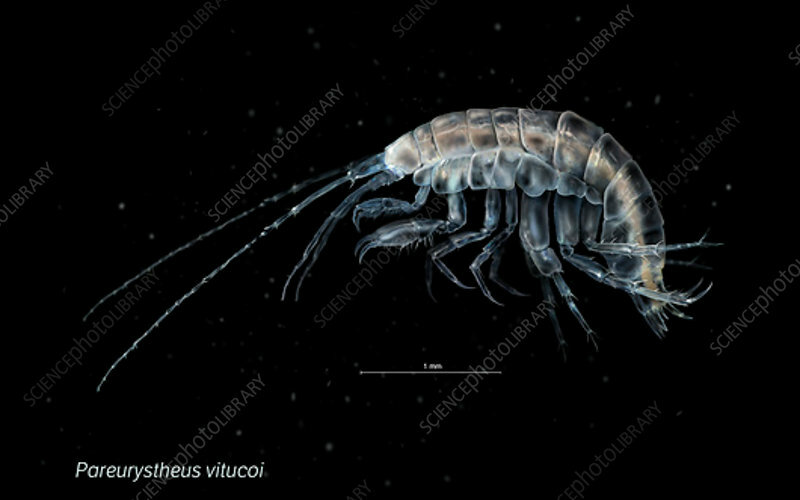 This crustacean forms part of the marine zooplankton.